Cumulus has entered into a multi-year contract extension with Charlie Cook as Vice President, Country Formats for the company. 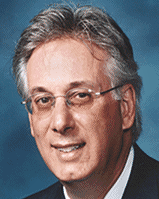 Cook will also serve as Operations Manager for Cumulus Media-Nashville and as Program Director for WSM-FM. A veteran Country programming professional, Cook oversees programming for Cumulus' Nashville radio stations, including: WKDF, WWTN, WGFX and WQQK. "Charlie Cook is not only one of the best known and most successful country programmers in the history of the format, he is a solid and strategic thinking multi-format radio expert," said Mike McVay, Executive Vice President, Content & Programming, Cumulus Media and Westwood One. "We are excited to continue this partnership with him." Allison Warren, Vice President/Market Manager, Cumulus Media-Nashville, added, "I am thrilled that Charlie has agreed to extend his employment agreement for another three years. Since joining Cumulus five years ago, he successfully launched two of the hottest country brands in Nashville, 95.5 NASH ICON and NASH FM 103.3, capitalized on the combined strength of Cumulus Media's NASH brands and delivered consistent ratings performance. 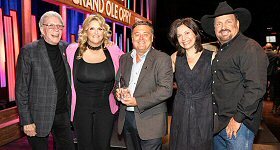 Most importantly, Charlie's collaboration with our Nashville programming team to develop and execute the right long-term strategy for our stations positions Cumulus Nashville for continued success in the future." "I have enjoyed my five years here in Nashville with Cumulus," said Cook. "I could not ask for better partners than Dave Milner, Mike McVay and Allison Warren. I have been in the business for many years and honestly, this is as good a group of professionals as I have ever been blessed to work with day in and day out. I look forward to continuing in my roles with the company."